One of the things that Jill was asked to do on her internship here at JenPEN Creative Studio, was to write one blog post each month that she's here. She will give you her perspective of the island when it comes to the interior design part of it. What the differences are between the Netherlands and Curacao. Lets take a look. After 6 weeks being on this beautiful island, I'm getting my chance to write a blog about what I've seen. My time here is passing by so quickly. The reason for that is because I have a very nice internship and I'm enjoying very bit of the beautiful things that Curacao has to offer. Because of the diversity of the projects, we've visited a lot of places in these past weeks. One day we went to Bandabou (which is the west part of the island) to look for old materials. That day I also got a chance to do some snorkeling in the sea and seeing all those beautiful fishes. I, also had the opportunity to visited homes of the local people. Giving me the opportunity to learn more about the culture of Curacao. One of the assignment I got was to search for funky chairs for a waiting room for in an office. Giving me the chance to get know the interior-shops on the island and I loved that because I had to do it on my own. My internship is very diverse, therefore I'm learning a lot about Curacao. 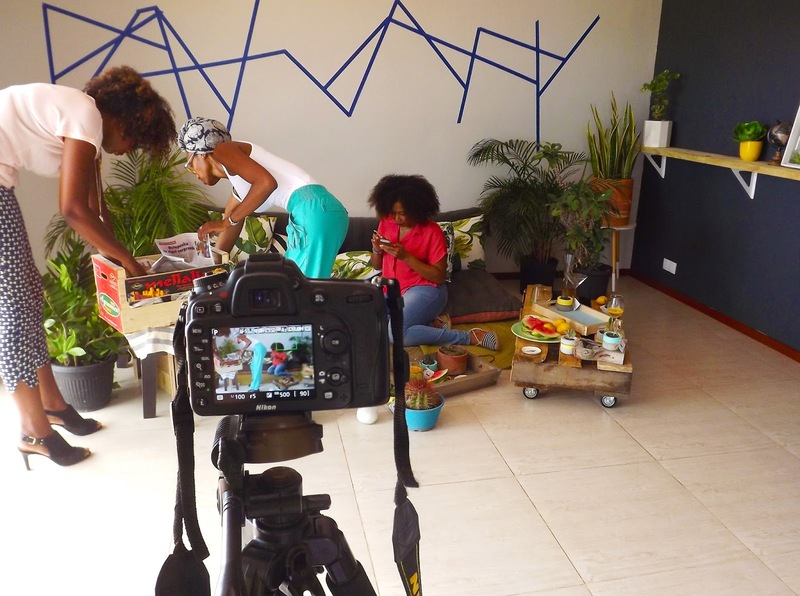 There is a big difference between Curacao and the Netherlands in the field of interior and exterior design . This I will highlight in a couple of points. One of the first things I've noticed was that Curacao uses much more bright colors in their interior than in the Netherlands. At most of the houses you can see a detail of red or yellow color. They use much more tile-work in Curacao than in the Netherlands. In the Netherlands floortiles feel very cold and have a cold look, for that reason wooden floors or tilework with a dark color are more often used. But in Curacao they already have a warm weather so having a cold floor is not something that happens easily. You can see floortiles in all different colors, forms and sizes. 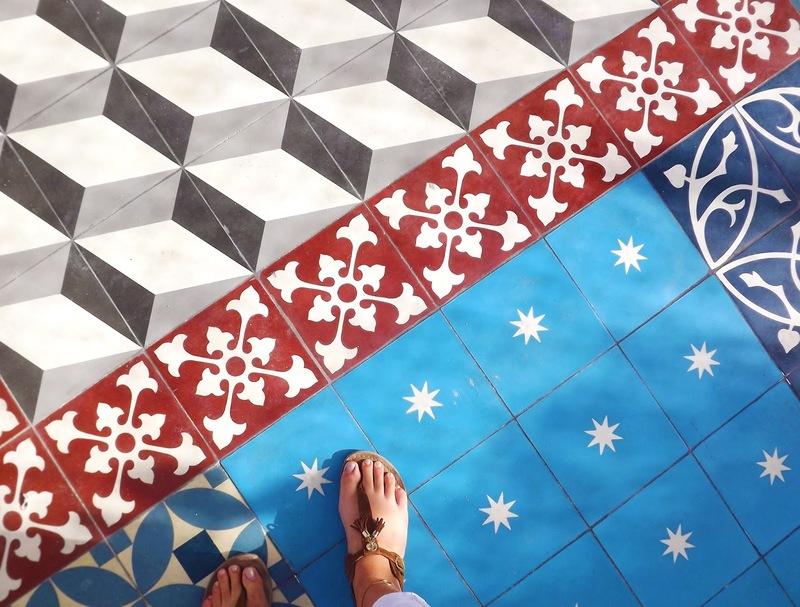 Tiles with a wood pattern or patchwork pattern is a trend on the island. There is also a difference in the basic colors in the interior. 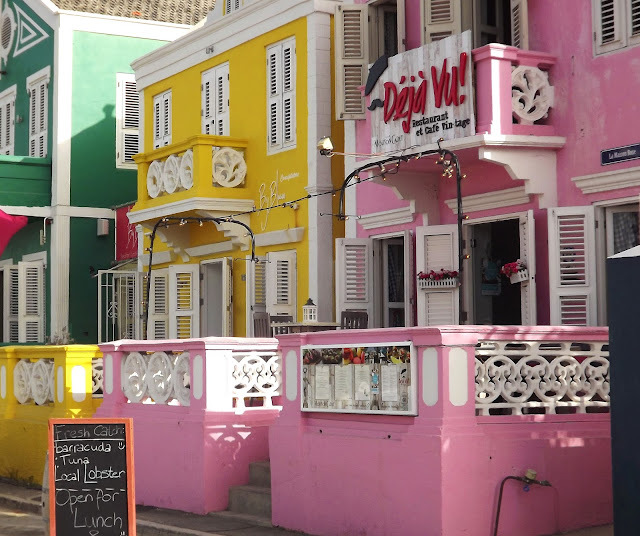 In Curacao, they often use a light grey color giving it a more cool look in combination with a bright color. That in contrast with a house in the Netherlands that has a lot dark and warm colors in their interiors. 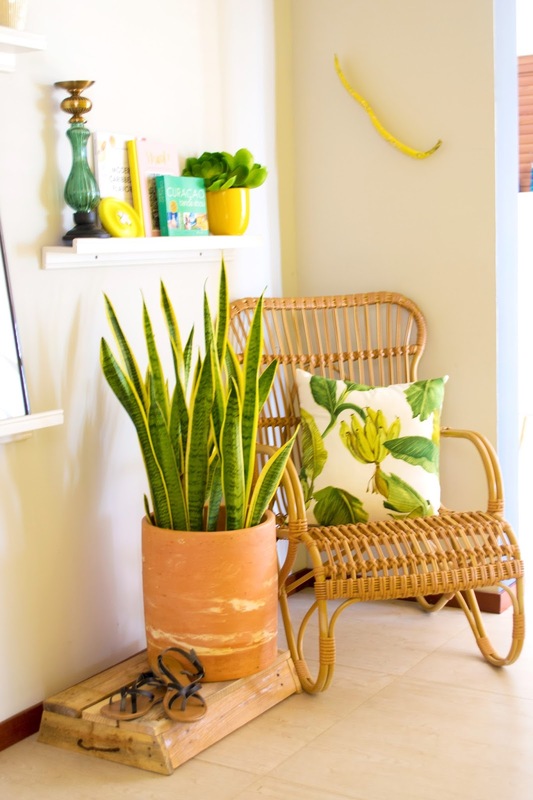 Decorating your home on Curacao on a budget, you'll need to be creative. This is because a lot of interiordesign stores are a bit expensive. Most of them import their furniture from Europe or the States. Sometimes you pay double of the prize of what I'm used to in the Netherlands. You should search for stuff that you can recycled or hit the sales. The locals live a lot more outside. Therefore, the exterior is also important. In Curacao they sell a lot of garden furniture. They are often made of synthetic materials, making it a lot easier to keep clean and it also feels cool. Some of them can also used indoors. Behind the scenes for the shoot "4 ways to bring the outdoors, inside"
Despite of Curacao and Netherlands having their differences, it still has European influences in their interiors. Most of the interior stores sell products of the Netherlands. The houses in Pietermaai (downtown) look very familiar to the town houses in Amsterdam, only here on the island they are very colorful. Between those monuments, you'll see a very modern, trendy building with European aspects. After these weeks living on this sunny island, I've learned that Curacao has a lot to offer. It's not always easy to create a nice interior, but after doing some research you'll find out that it's very much possible.